Exposure to artificial blue light — like that emitted from smartphones and LED streetlights — may have all sorts of nasty side effects, according to a new study at least. Researchers have discovered that people exposed to “high levels” of blue light at night may be linked to a higher risk of certain types of cancers. That includes a 1.5-fold higher risk of developing breast cancer and a twofold higher risk of developing prostate cancer, the study found. The study, which was published Monday in Environmental Health Perspectives, compared exposure to blue lights between 2,000 breast or prostate cancer patients and a control group of around 2,000 other people in Spain. The researchers used imaging technology on the International Space Station to measure exposure to outdoor artificial light, as well as self-reported questionnaires to measure exposure to indoor artificial light. And it’s mostly blue light that can cause harm. The study also discovered that other types of light in the visible spectrum — like red or green light — didn’t have a positive correlation with cancer development. Exposure to blue light is known to have adverse effects on the release of melatonin, an important hormone that regulates the body’s natural sleep cycles and is also known to act as an antioxidant. According to Sánchez de Miguel, health levels of melatonin in the brain can suppress the growth of certain types of hormone-sensitive cancers. Blue light is common in many varieties of outdoor LEDs with color temperatures greater than 3,000 Kelvin. It’s also produced by the displays of smartphones, tablets and other devices — although the study’s authors noted that they did not measure the effects of blue light produced by tech devices. Some cities, like Davis, California, are actively replacing outdoor streetlights that produce high levels of blue light with lamps that have a warmer color temperature. For smartphone, computer and tablet users, it’s recommended to limit device usage at night. 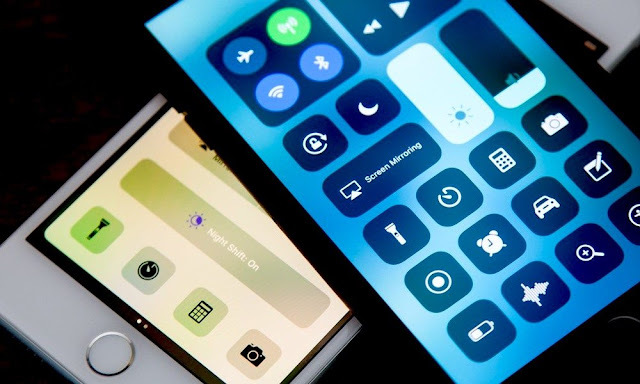 In addition, there are a variety of different apps that can filter out blue light — from third-party apps like F.lux to native features like Apple’s Night Shift.